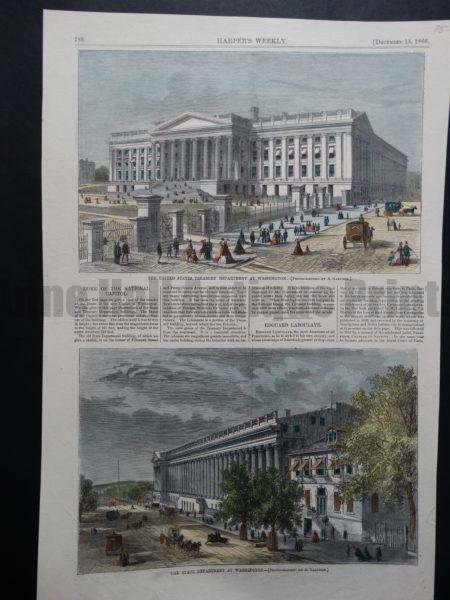 Washington DC antique lithographs and engravings depict a specific time and era in history of our Capitol. 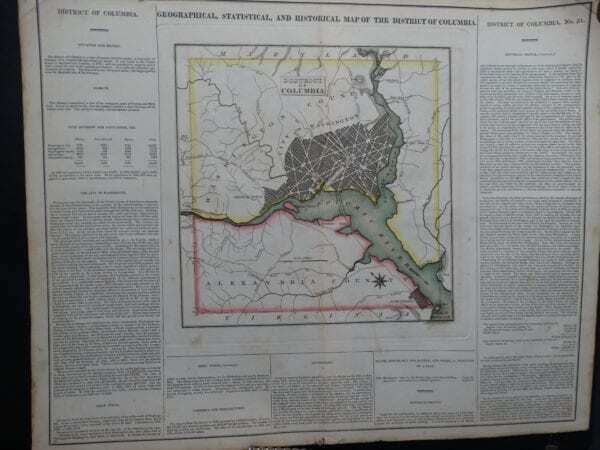 These old scenes and maps documented events and the progress of building in our Nation’s Capitol. 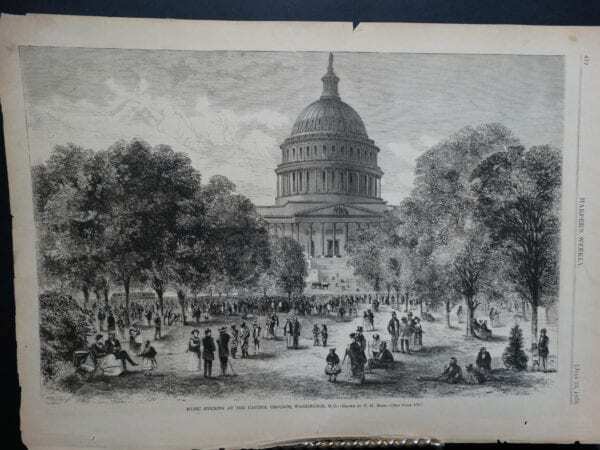 Washington DC Assorted Antique Engravings, Maps, and Lithographs. Music Evening at the Capitol Grounds. 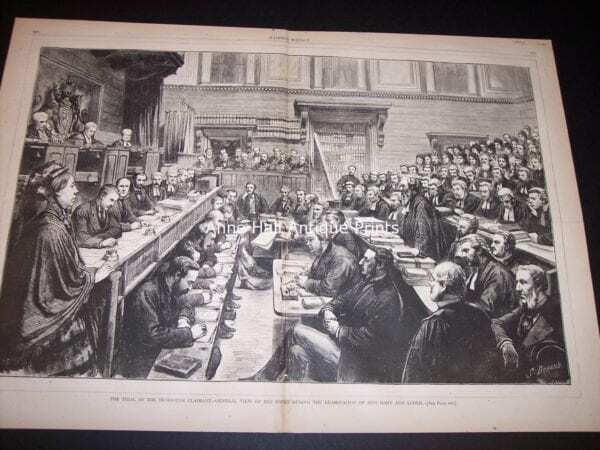 July 23, 1870. $150. 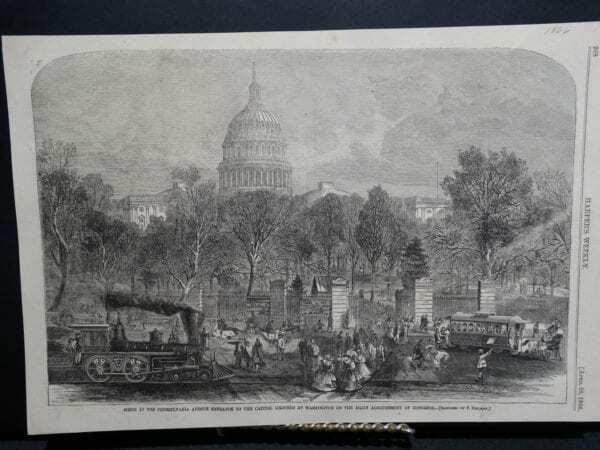 Scene at the Pennsylvania Avenue Entrance to the Capitol, April 28 1866. $150. 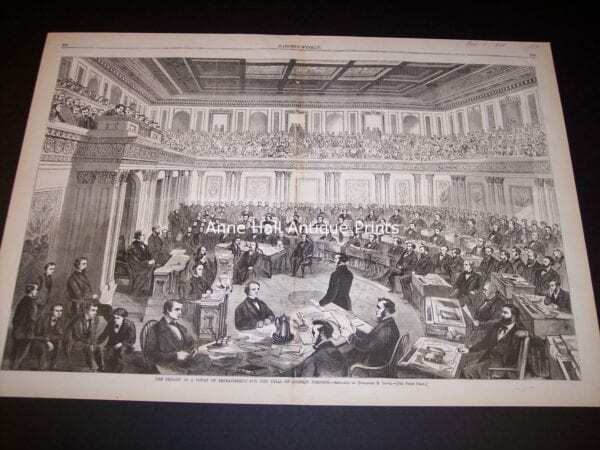 The Senate as a Court of Impeachment for the Trial of Andrew Johnson. 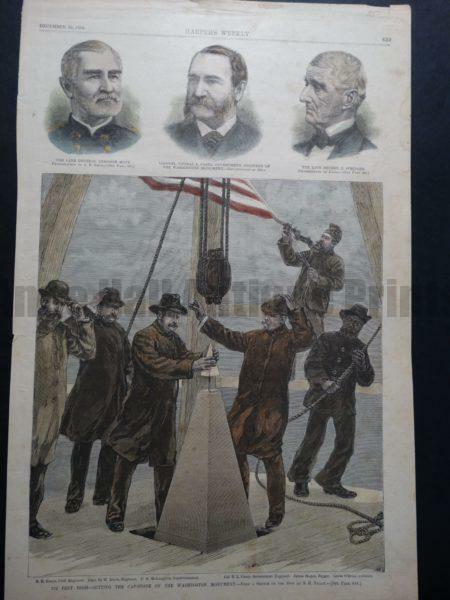 April 11, 1868. 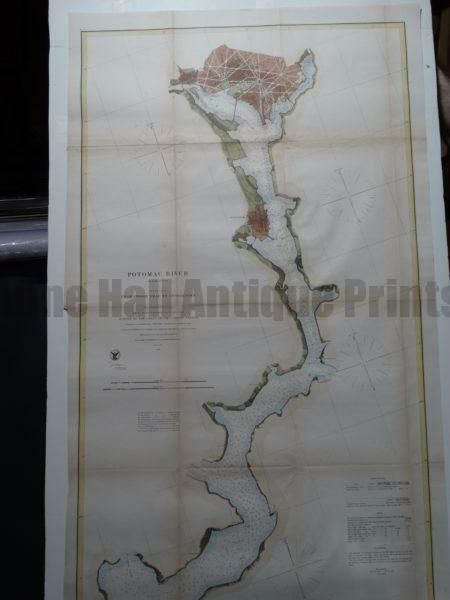 $325. 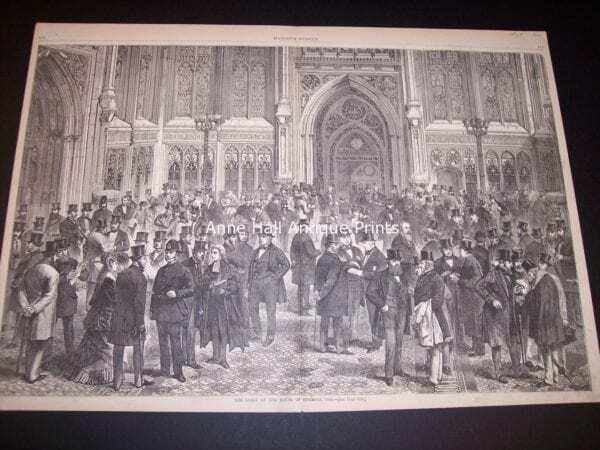 A Scene in the Hall of Representatives Washington. 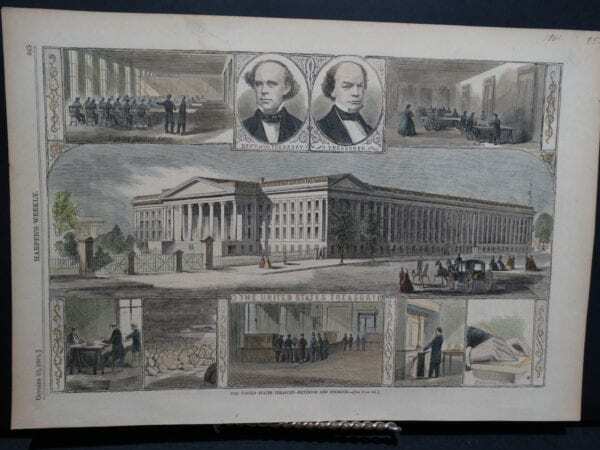 April 6, 1861. 11″ x 16″ inquire. 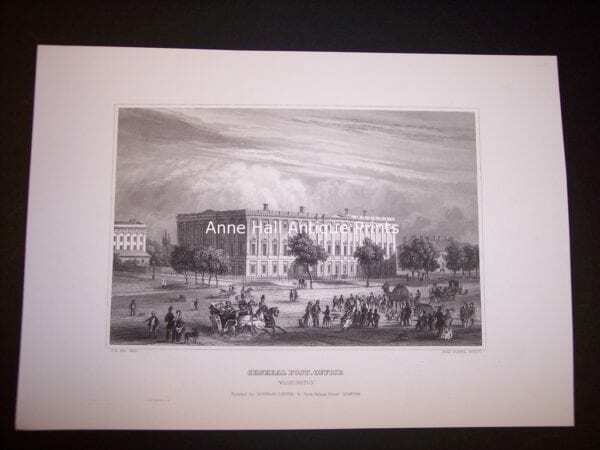 United States Patent-Office Department, Washington DC. 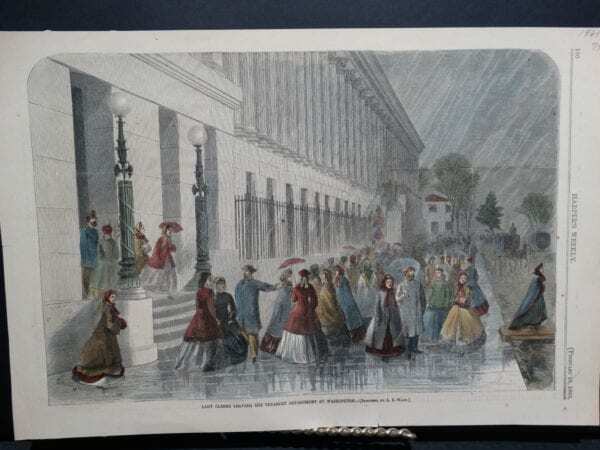 February 23, 1867. $40. 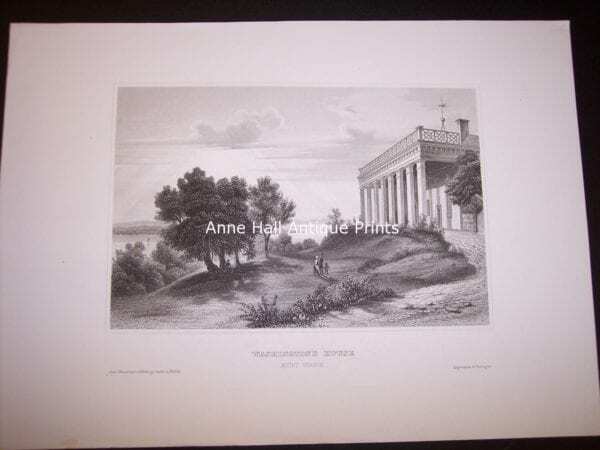 Washington DC, Vintage Steel Engravings from mid 1800. 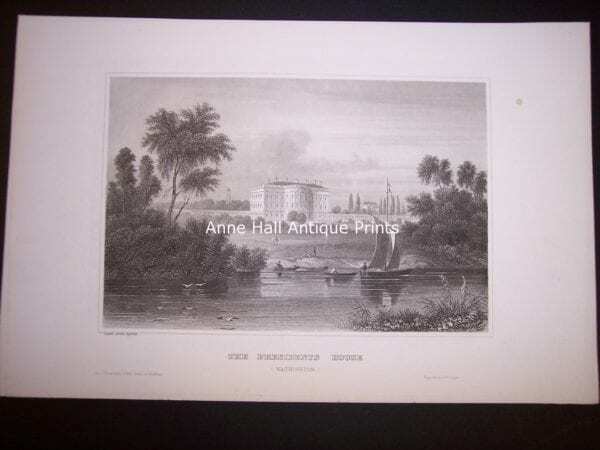 Washington DC… Old Meyers Views of Washington DC from 1854. 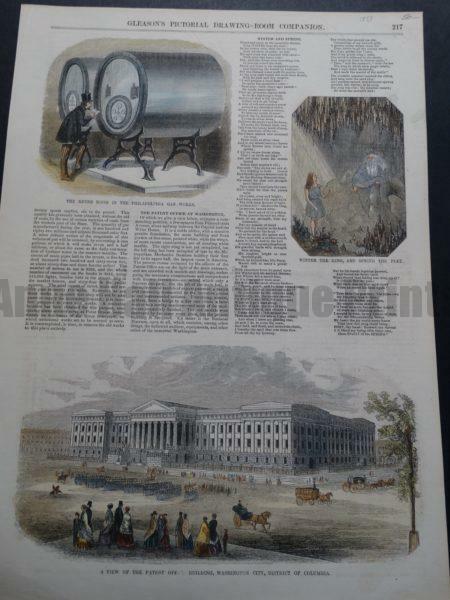 These are old steel plate engravings produced in Germany published in 1854. 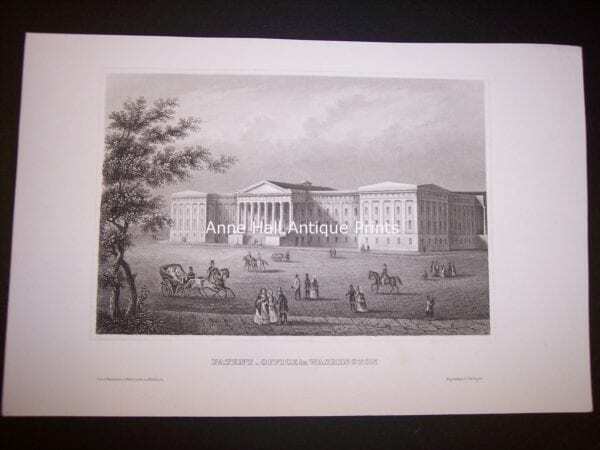 Each old engraving measures 7×9″ Click here to contact us. 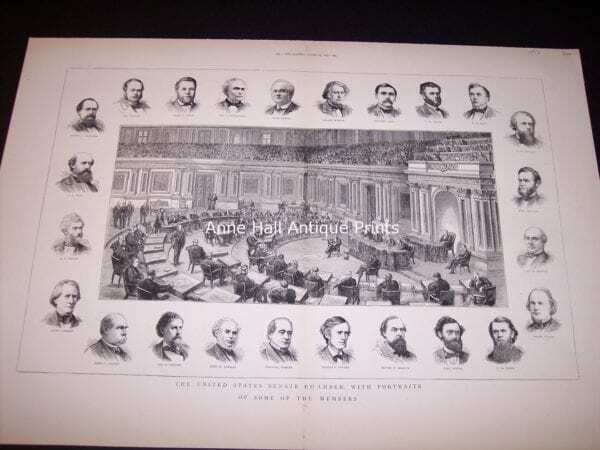 9698 1854 Meyers Engraving Chamber of Representatives Washington $100. 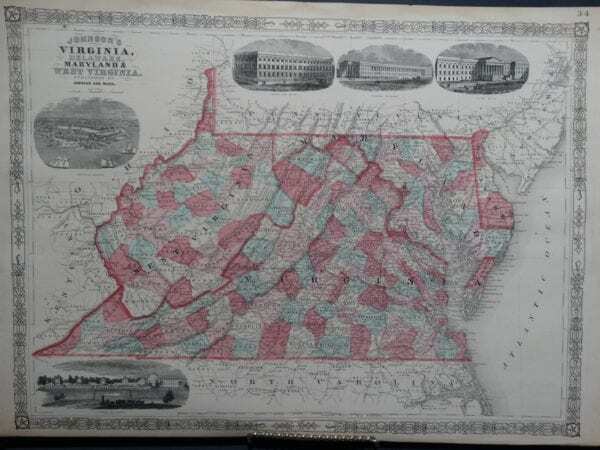 9697 1854 Meyers Engraving Patent Office in Washington $100. 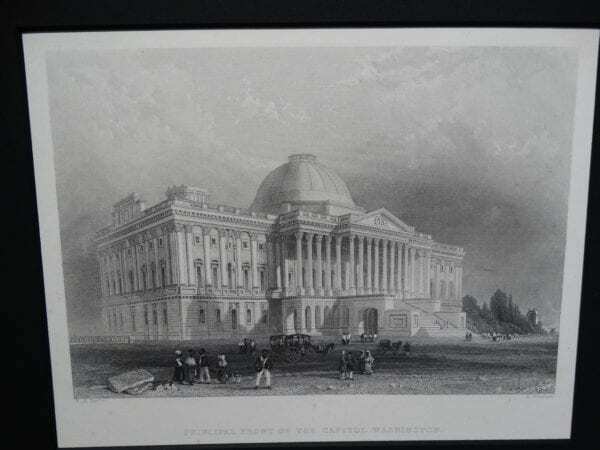 9696 Meyers Engraving The Presidents House Washington. Unavailable. 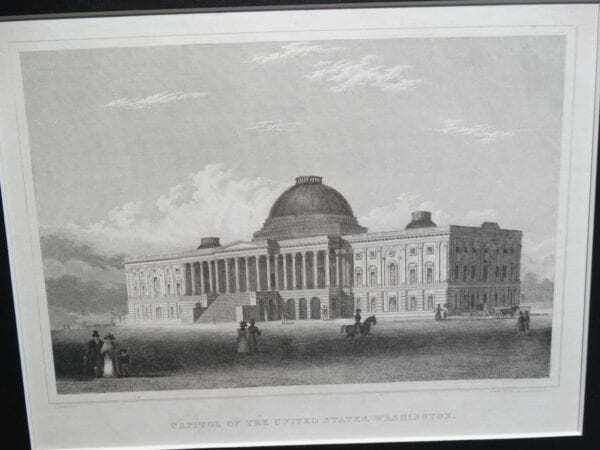 9695 1854 Meyers Engraving General Post Office Washington. SOLD. 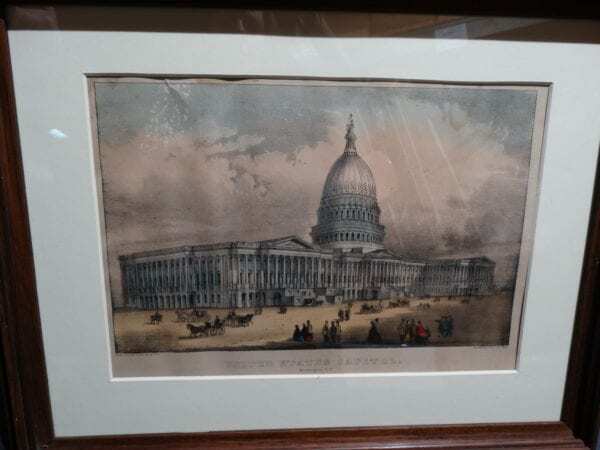 9694 1854 Meyers Engraving Das Capitol in Washington $100. 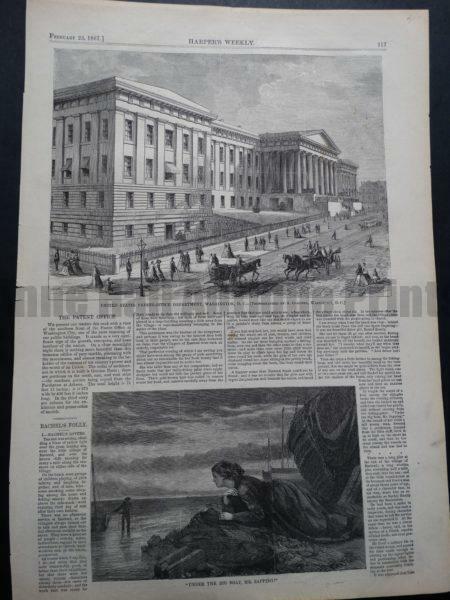 Washington DC 16×22″ Rare Old Engravings of the Capitol Building, published during the 1800’s for illustrated newspapers which were understood by all, as they had wonderful illustrations and scenes which were visual and beautiful to look at. Click here to contact us. 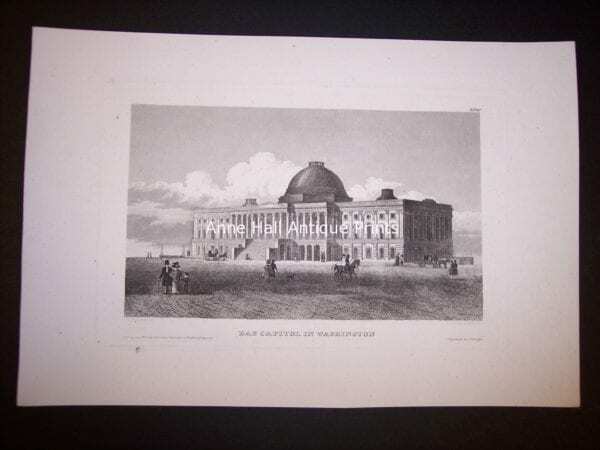 Old Engraving of the Capitol Building in Washington DC $300. 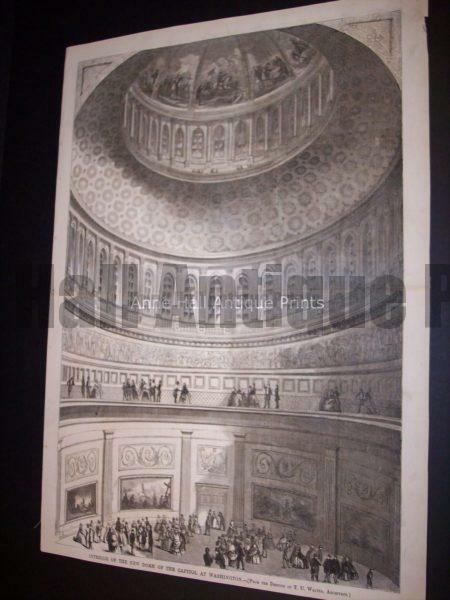 1861 Engraving of the Dome of the Capitol, Washington DC $250. 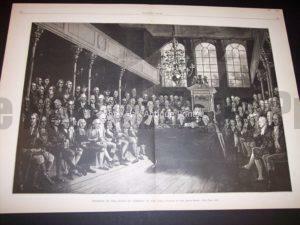 1877 Old wood engraving measuring 16×22″ Entitled Our New President (Hayes)… $200. 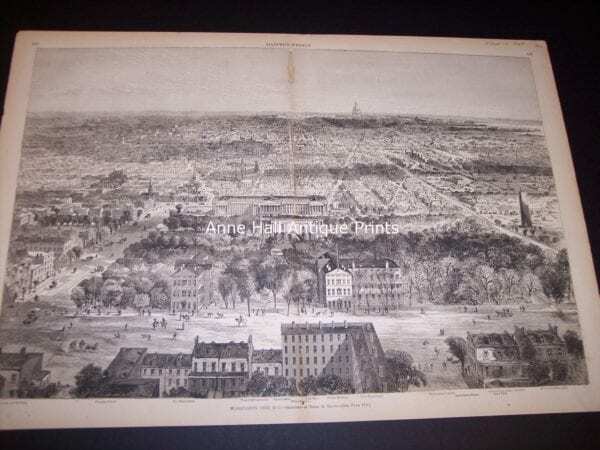 9679 Birdseye View of Washington City, DC from 1869 $300. 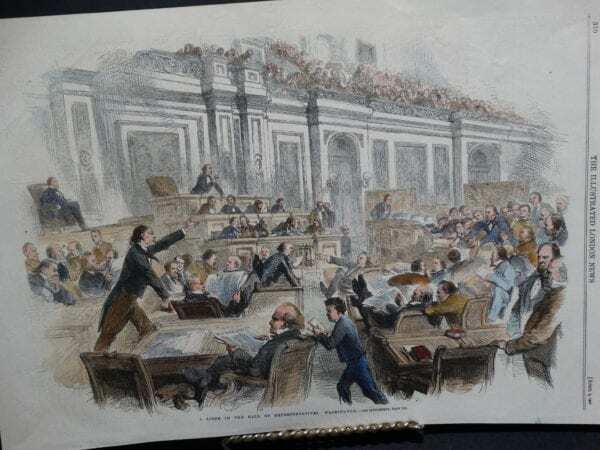 US Senate. 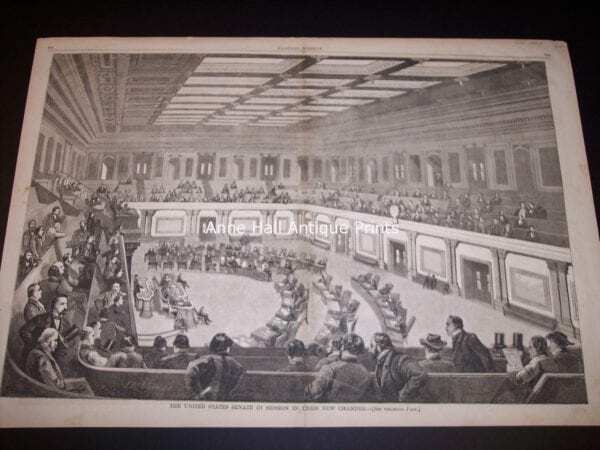 Rare Old Engravings of the United States Senate and House of Representatives. 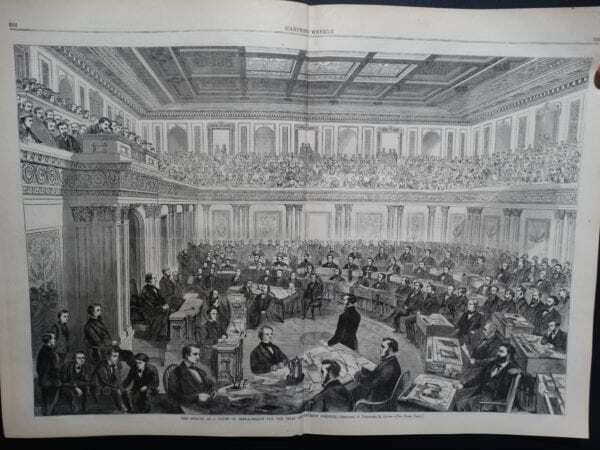 9691The US Senate in Session in 1859. $250. 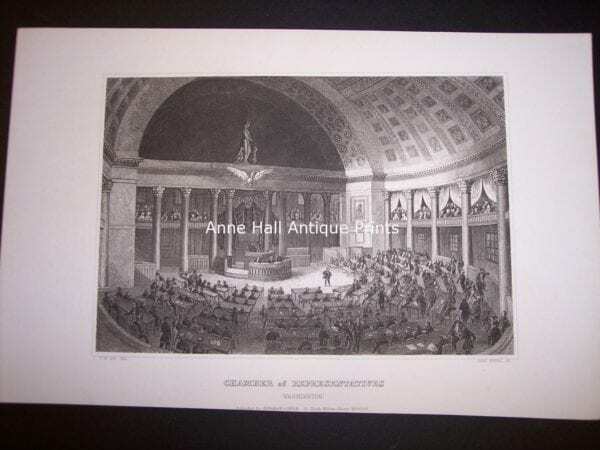 9692 US Senate Chamber 1873 $250. 9690 1868 Senate Impeachment Trial $250. 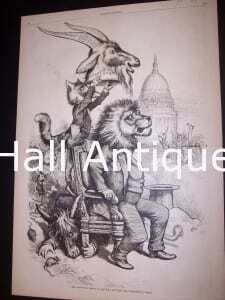 VINTAGE Legal Engravings from the 1800’s. 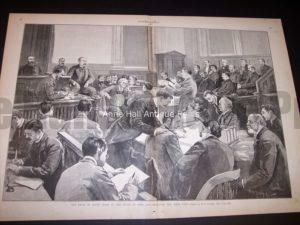 9685 1873 Old legal print Tichborne Trial $250. 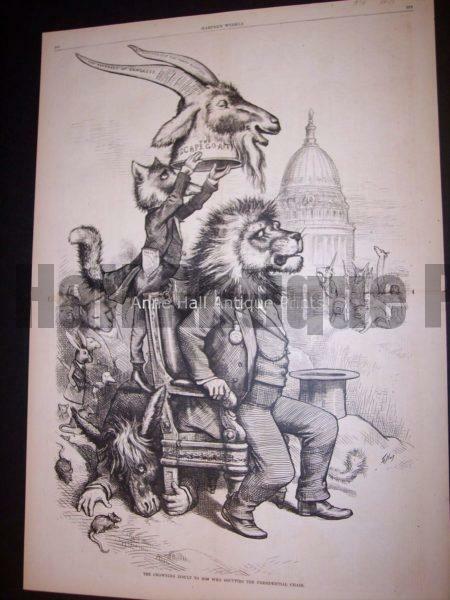 9684 Thomas Nast Engraving from 1876 $250. 9686 1887 Old Legal Print Trial $250. 9688 1888 Old Engraving House of Commons in 1793 $150. 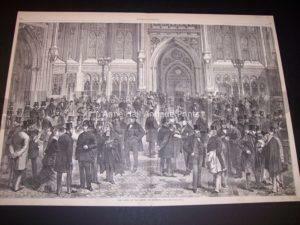 9687 1869 The Lobby of the House of Commons, 1869 $200. 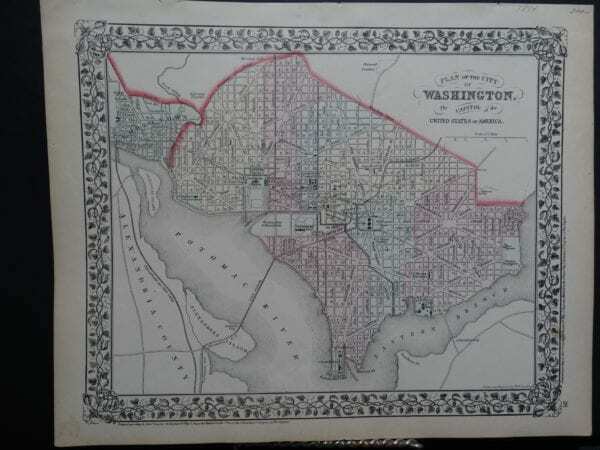 My Father Bill is selling off his enormous Washington DC paper collection. You can call him directly at 1-800-879-6277 or ask for Mel. She is in charge of collections. 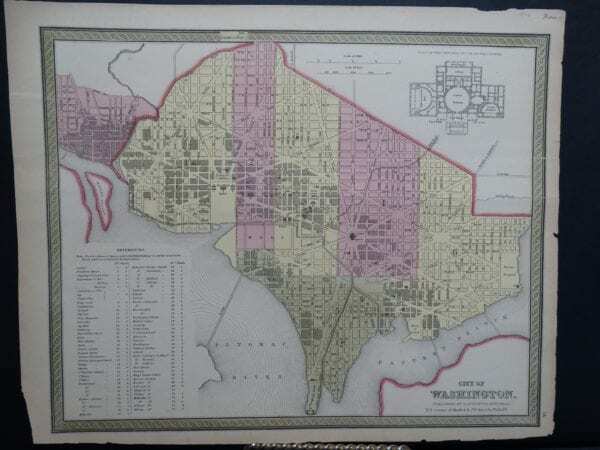 If you have a more specific request regarding the District of Columbia: then see a few more of his online selection by clicking to his page here See more Washington DC. Washington DC: Scenes, Views. 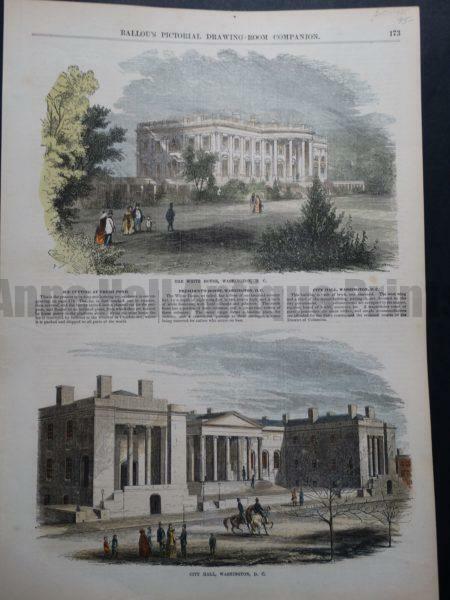 Old hand colored engravings. 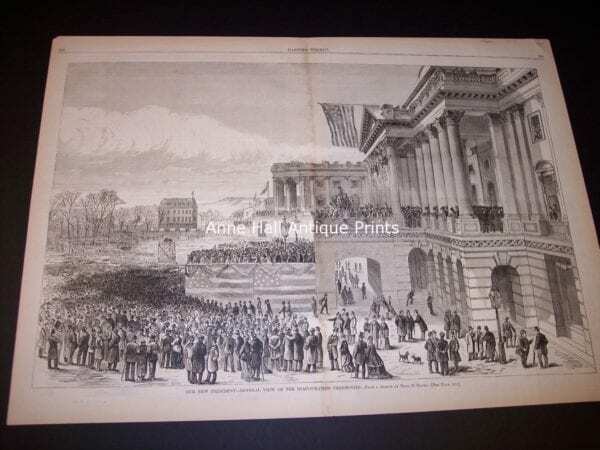 Legal material, Scenes of Capital Hill, the White House, US Senate. 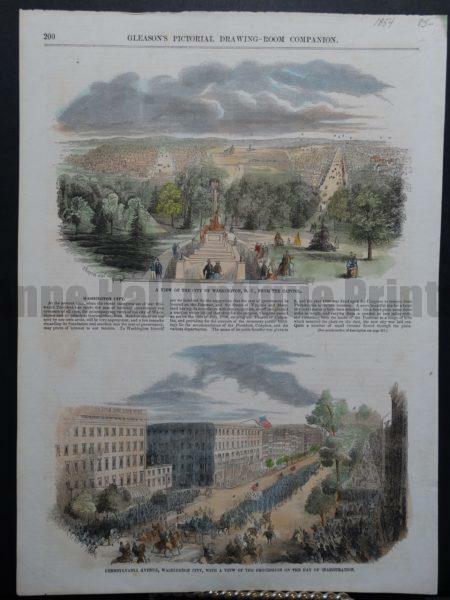 Washington DC is such an incredible bustling city. 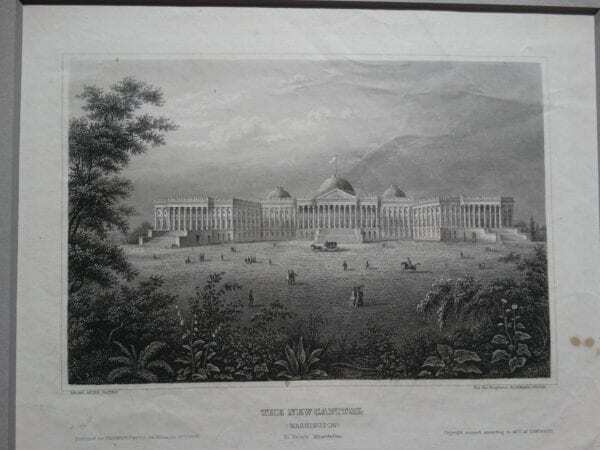 It was equally impressive in the 1800’s as can be seen in these Vintage views and illustrations. 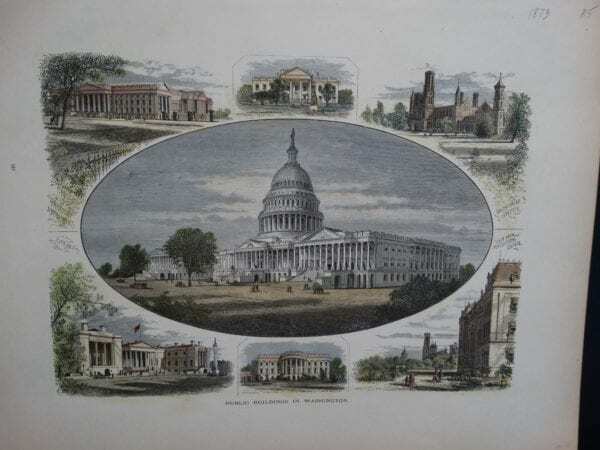 Old engravings of the US Senate, The Capitol Building, legal prints. What a great way to decorate an office or den. 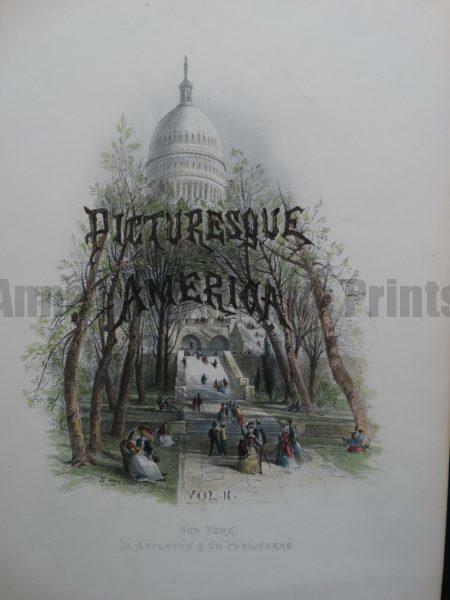 Historical antique views of our Nations Capital. 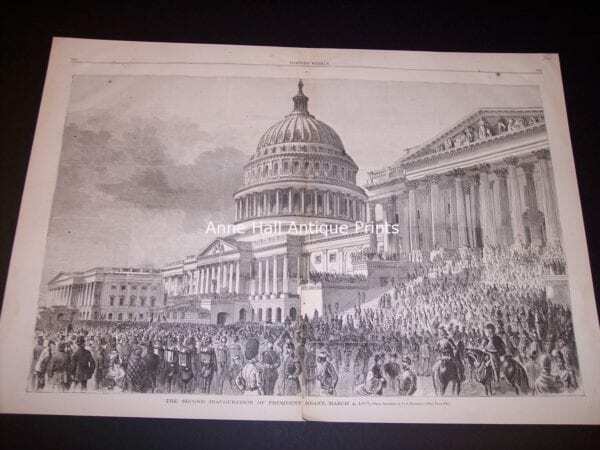 We sell only authentic old engravings and lithographs so feel assured we are a top dealer with a world class collection of antique prints, including these highly desirable historical images pertaining to the District of Columbia..